Bollywood actress Janhvi Kapoor has made a brilliant debut on the silver screen with the film Dhadak, directed by Shashank Khaitan. The film was produced by Karan Johar and who is better than him to launch star kids. Since then there were the reports that Janhvi Kapoor can also make an appearance in Karan Johar's chat show Koffee With Karan. 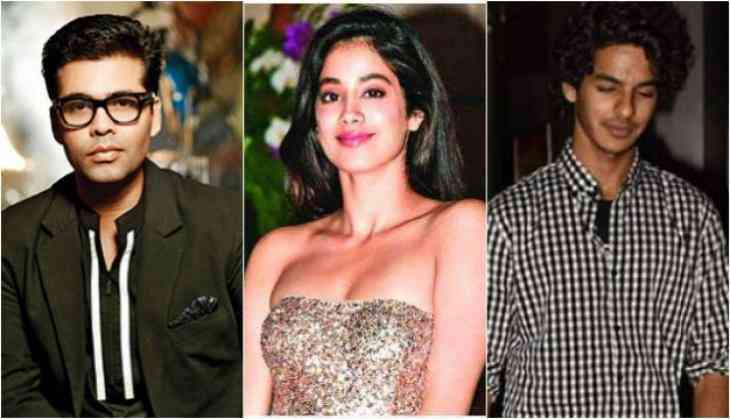 However, now the reports are coming that Janhvi Kapoor will surely make a debut appearance on Koffee With Karan but not with co-star Ishaan Khatter. She will make an appearance on the show with her step-brother Arjun Kapoor. This will be the first time when we will see Arjun Kapoor and Janhvi Kapoor coming together at any platform. It will surely be an emotional and funny ride of the siblings on the show Koffee With Karan. It is known that before Sridevi's death Janhvi and Arjun were not in the talking terms and after Sridevi's demise, Arjun Kapoor became a support of Janhvi and Khushi Kapoor. Meanwhile, on the professional front, Arjun Kapoor is busy in the shooting of his film 'Namaste England' this film is all set to release on 19th October 2018. While on the other hand, Janhvi Kapoor is going to be seen in Karan Johar's film Takht starring Ranveer Singh, Kareena Kapoor Khan, Alia Bhatt, Vicky Kaushal, Bhumi Pednekar, and others.